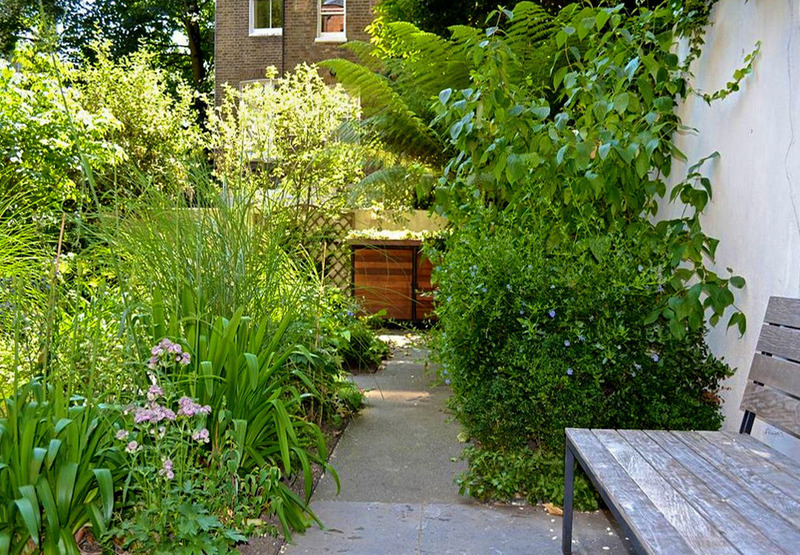 The brief was to go from a classical layout with lawn and borders along the sides to an exuberant and unusual garden filled with lush plants and isolated spaces to relax. 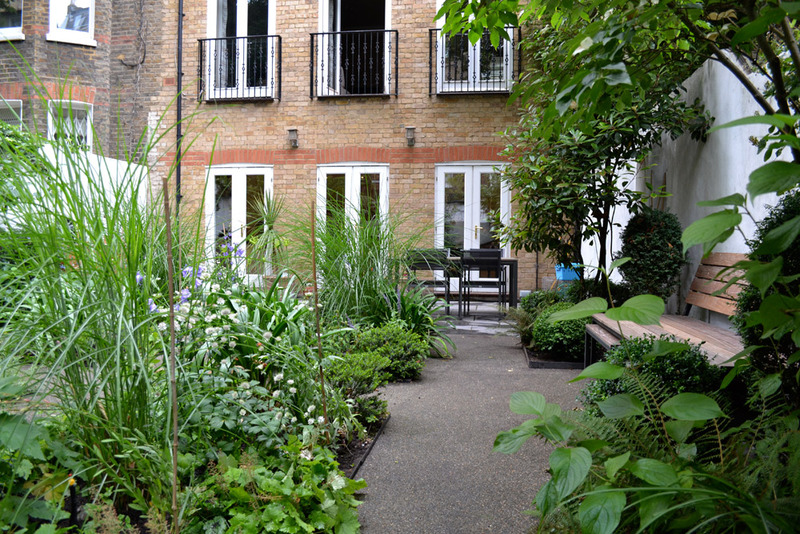 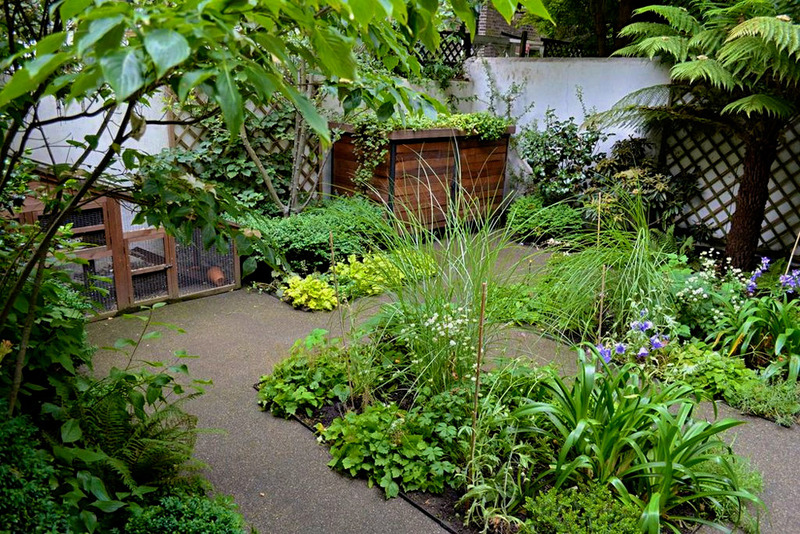 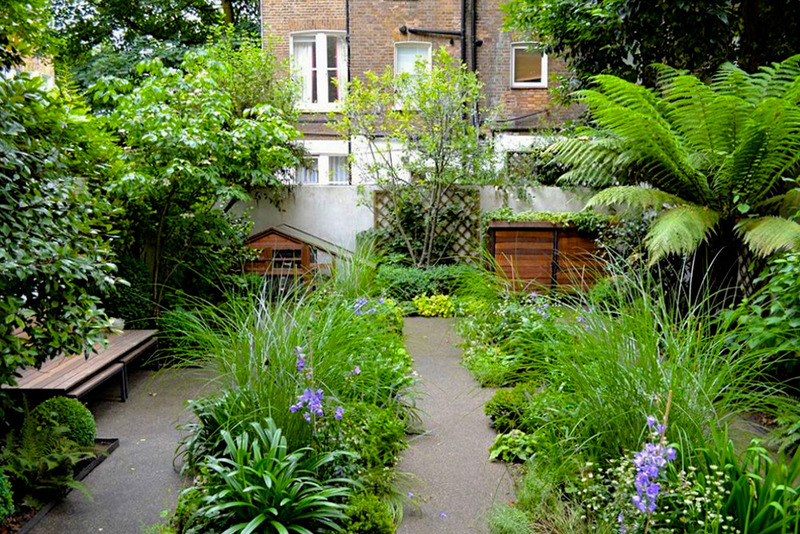 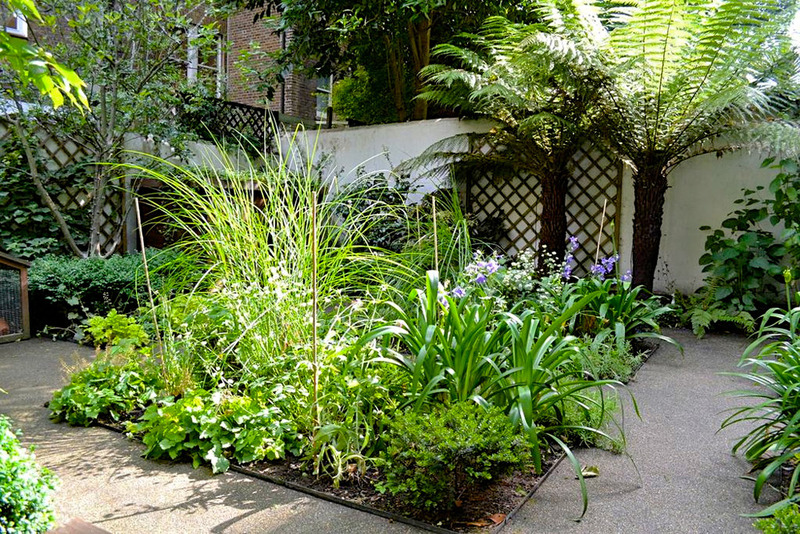 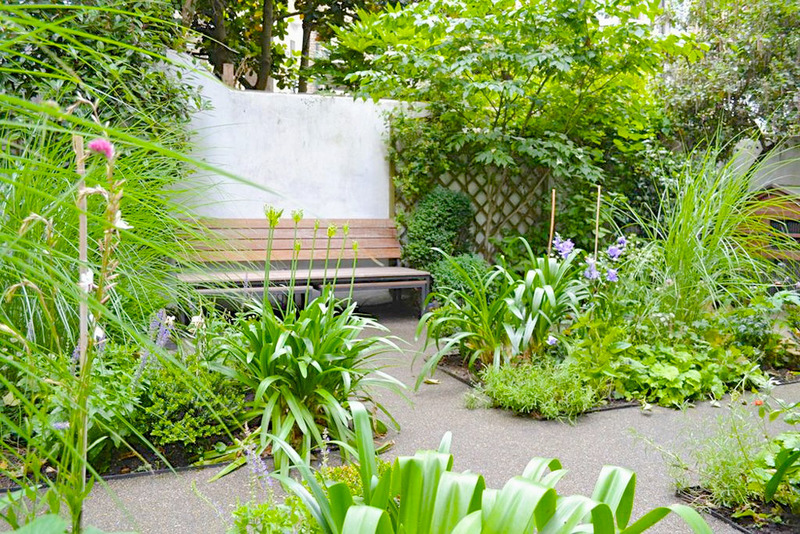 Narrow paths divide the space and create large planting beds. 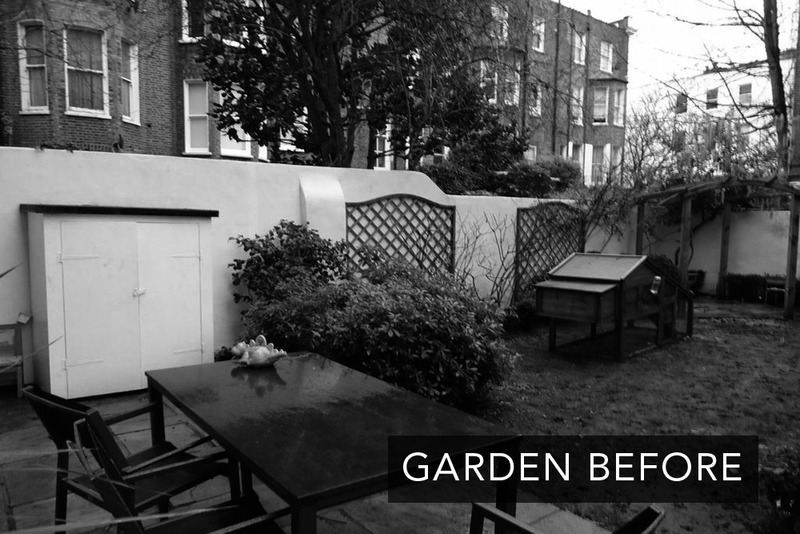 The dining area paved with black limestone slabs echoes the color of the path made of gravel set in resin. 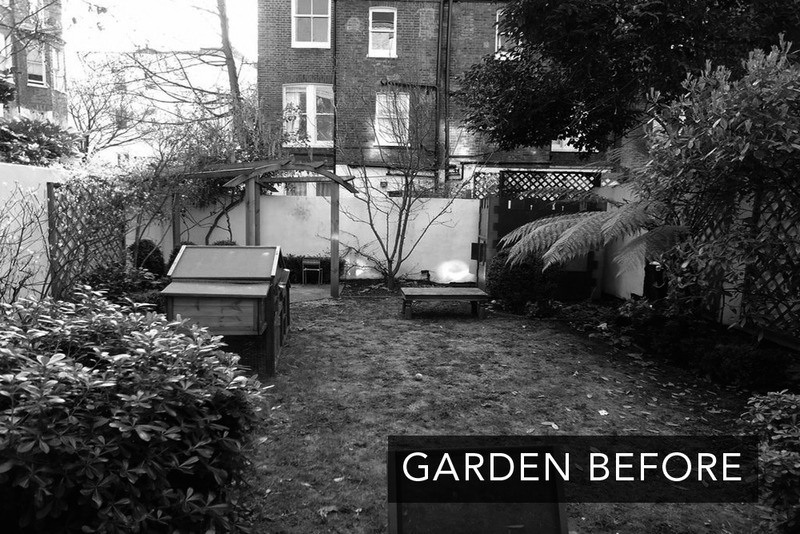 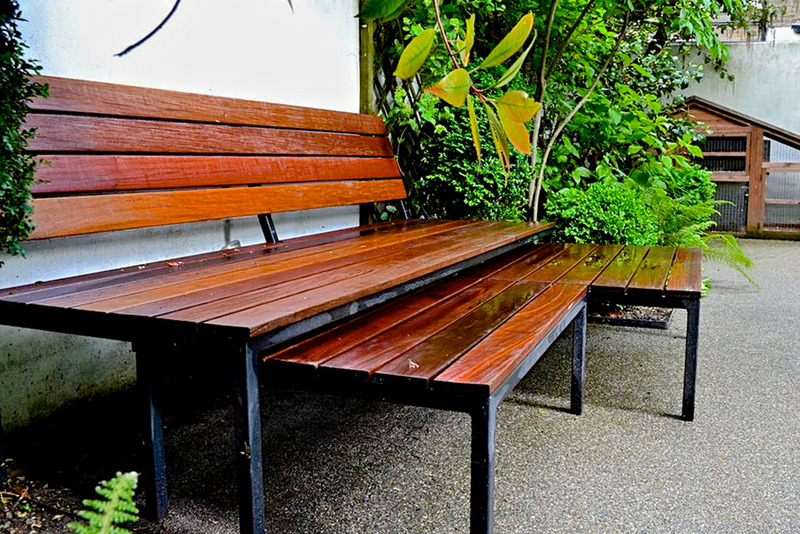 All benches and shed for this garden have been designed bu Claire Garden Design.